Cliff and Wade Lakes are hidden over a ridge from the Madison River Canyon. 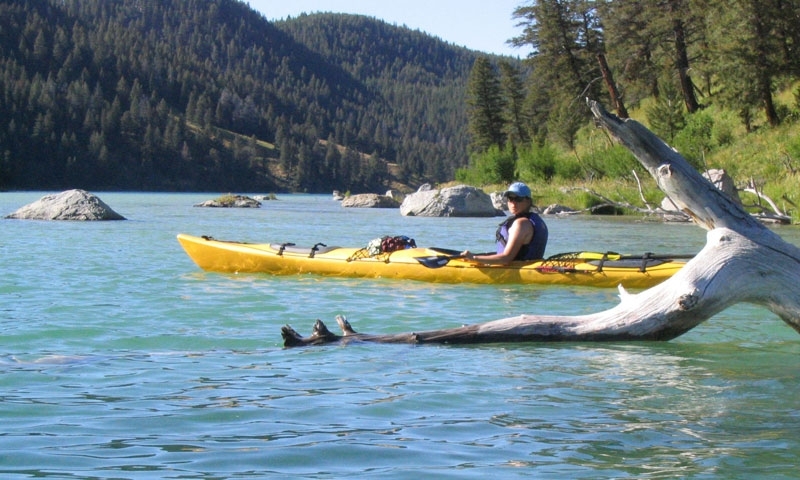 The stunning blue water is an ideal backdrop for camping and fishing and both kayaks and motor boats can float its waters. If you love fishing, hiking, camping, or just relaxing, Cliff and Wade Lakes are ideal. Cliff and Wade Lakes are located north of the junction of US 287 and Montana 87, six miles down Forest Road 8381. Watch for signs to the lakes. The lakes are about an hour drive from West Yellowstone. We suggest driving through the Madison River Canyon along the way. Cliff and Wade Lakes are accessible all year, but the best seasons to visit are from late spring to fall. More wildlife is seen in the winter, and cross-country skiing is the only way to access the lake and cabins when it snows. Hikers will enjoy the Cliff and Wade Lakes Interpretive Trail that connects the Hilltop and Wade Lake campgrounds. It heads uphill from Wade Lake and is rated as low difficulty. This nature walk illuminates how nature creates various environments and you’ll learn about the flora and fauna of this region. At the lower end, you can connect to another trail called Fault Trail. Both Cliff Lake and Wade Lakes have excellent trout fishing. In fact, at Cliff Lake the state record was broken with a rainbow weighing more than 20 pounds. Trolling or fly-fishing from boats has been the most successful. These lakes offer boating that is more than just a way to drop in a fishing line. 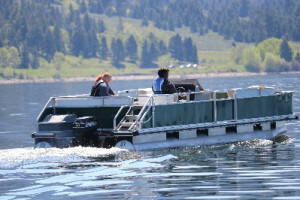 You can move to different areas to hike or view wildlife in the motorboats or canoes available to rent at Wade Resort. Frequently visiting the lakes are moose, elk, beaver and deer. Wade Lake is a good place to spot river otters. You will see the larger mammals more often during winter months. You will also see bald eagles, prairie falcons and osprey. Trumpeter swans are abundant in the winter. There are actually 3 campgrounds along the banks of Cliff and Wade Lakes. Wade Lake Campground, Cliff Point Campground, and Hilltop Campground all offer great camping opportunities. 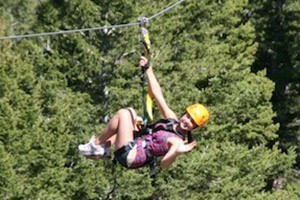 Wade Lake Cabins and Resort also offers rustic cabins for rent year-round. Cliff and Wade Lakes are actually a chasm filled with water, formed by a geologic fault of the Madison fault line. This area has been the most active section of the fault. In fact, in 1959 the Hebgen Lake earthquake struck and shook the area with such force that the water sloshed out of Wade Lake, tossing fish up on the banks. Popular lakeside vacation destination in Northwest Montana.